At the Aspen Alps, all your needs and desires are taken care of for you. You can relax while our bell staff picks you up from the airport when you arrive. Grocery shopping service is available as well. 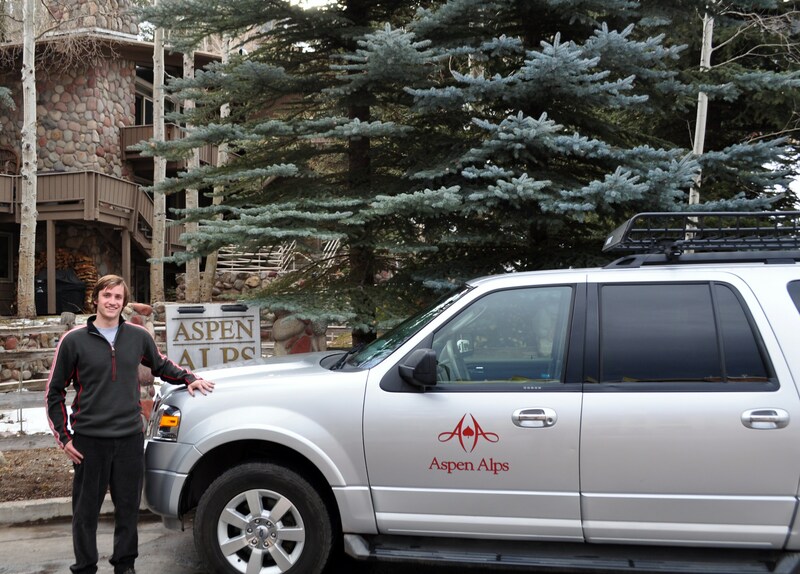 While you visit the Aspen Alps, daily housekeeping and shuttle service around town are but two of our many services. Need to book dinner reservations or a massage? We'll take care of it for you. Relax; enjoy yourself at Aspen's premier condominium property: The Aspen Alps. Bell staff is on duty from 7 am to 11 pm. The Bell Captain is Aspen’s own Andy Golden. You can request van service by calling the front desk or speaking directly with the Bell staff. Checkout time is 11 am. The front desk can arrange for transportation to the airport or help with luggage. The Manager on Duty acts as a concierge. They will make dinner reservations, help you with lift tickets, rentals or any other reservations for activities. They are great sources of information on the happenings around Aspen. Both Aspen papers, and Wall Street Journal are complimentary each weekday and The New York Times is complimentary on the weekends. The New York Times can be ordered each weekday at an additional cost. The front office staff can tell you which restaurants offer take-out service. Please inform the bellstaff when to pick up and deliver your order. Dry Cleaning / Laundry will be returned the same day if brought to the office prior to 9:00 am. Every apartment at the Aspen Alps has a washer and dryer. Several owners allow dogs in their apartments. If you choose to bring your dog, a non-refundable cleaning fee will be charged for carpet and furniture cleaning (call the front desk for details). When making a reservation, please let us know of your intention to bring a dog and we will try to reserve a dog friendly unit. The Alps does not allow cats or any other pets. Information on Aspen Alps properties for sale is available from the General Manager. The front desk can assist you with shipping your luggage, skis or snowboards to the Aspen Alps or back to your home. You can organize this through this link here, or call the front desk for any assistance. Van service is available from 7:00 am to 11:00 pm to locations in town as well as to and from the Aspen Airport. Rides to Buttermilk and Highlands depend on bell staff availability, so please check with the front desk well in advance. The Aspen Alps does not offer rides to Snowmass, Pine Creek Cookhouse, The Maroon Bells, Woody Creek or the Eagle Airport. Free RFTA bus service to all ski mountains is available.